There has been a sharp increase in patients suffering from Chronic Kidney Disease, a silent killer. Dialysis and kidney transplant remain the only remedy for patients’ survival. 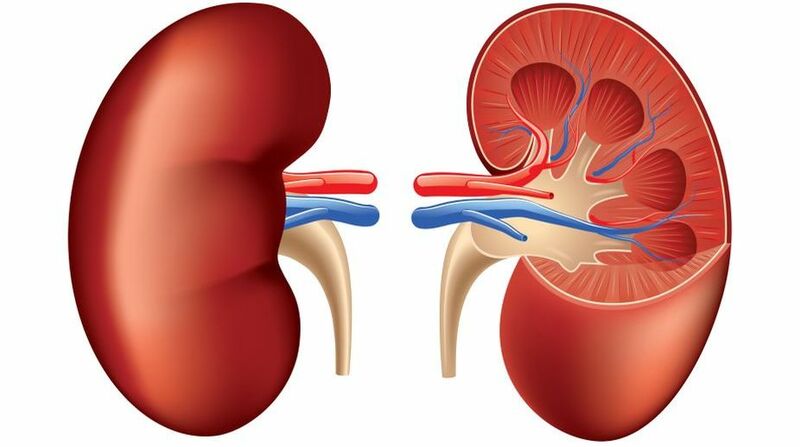 Over 1 lakh new patients are added to the existing pool of ‘kidney failure lot’ in India but only 8000 to 9000 kidney transplants are performed across the country, said Dr Sanjeev Gulati, Director and Head of Department of Nephrology and Kidney Transplant, Fortis Institute Of Renal Sciences and Transplant, Vasant Kunj, New Delhi. In the current scenario where familial bonds are not so strong, families are shrinking, and organ donations from living donors are constricted by several stringent rules that restrict the eligibility to only close relatives of the patient, cadaver organ donation is the more desirable option. However, while in the West around 70-80 per cent of people pledge their organs, in India only about 0.01 per cent do so. With current lifestyle diseases like diabetes and hypertension taking centre stage in urban India, 17 out of every 100 people ~ including children suffer from kidney disease. Of this, 6% have stage III kidney disease which necessitates costly treatment like dialysis or transplants, according to the largest screening study of kidney disease in the country. Of the 1,50,000 new patients who need dialysis annually in the country, 1,35,000 people die without any kind of treatment due to financial constraints. Of the remaining 15,000 patients who are started on dialysis, 9,000 patients discontinue dialysis treatments within a month due to lack of resources. With the health ministry estimating that the annual requirement for kidneys ranges between 1-2 lakh with only 8,000 transplants occurring, the demand-supply gap is huge in India that has a donation rate of 0.5 per million ~ one of the lowest in the world. In contrast, Spain has a donation rate of 36 per million inhabitants while numbers for Germany and the United States are 11 and 26 respectively. “As a means of alleviation, India can move towards the Spanish model for meeting the need for kidneys for those suffering from CKD… This model is increasingly being adopted across Europe with France being the latest to embrace it,” adds Dr Gulati. The Fortis doctor is of the opinion that the Spanish model of 'opt-out' cadaver donation, regarded as the best, must be emulated in India too as the country needs a system that pushes cadaver donation, especially as accident deaths are high in our country. “After choosing an opt-out system, Spain dramatically emerged as the undisputed world leader in organ donations,” he said. The opt-out system is based on the new presumed consent law where the deceased person’s consent to have his/her organs donated is presumed even if the individual’s immediate family is against it. Those who do not wish to donate their organs can put their name on a national 'refusal register' whereby their consent will not be presumed, and their organs will not be donated after their demise. ''India definitely needs cadaver donations but so many things need to be organised for the system to be successful and, at present, we are far from that,'' said Dr Sanjay K Agarwal, Professor & Head, Department of Nephrology, AIIMS, New Delhi. The Spanish model, however, is unlikely to be emulated in India with the current structure of society where trauma and the emotional, physical and financial costs are severe, said Dr Ashwani Singh, member IMA.